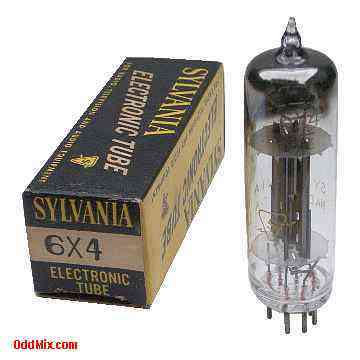 This is an original Sylvania 6X4 Full-Wave Vacuum Rectifier electronic tube. Used in power supply of automobile and ac-operated radio receivers. For reference only - no longer available!